Young women may feel guilty when they come into money and tend to feel compelled to be the ones to take care of others, said Brzezinski. 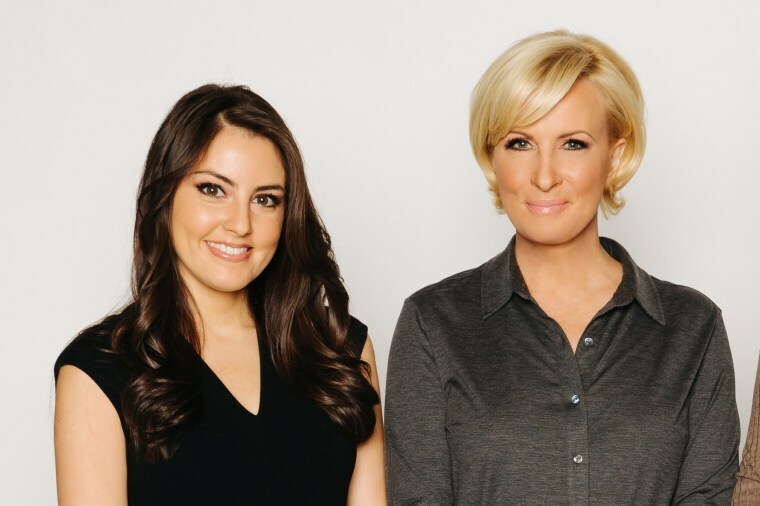 When Know Your Value millennial contributor Daniela Pierre-Bravo got the opportunity to write a book with her boss, “Morning Joe” co-host Mika Brzezinski, it was a life-changing moment for her career — and her finances. But Pierre-Bravo, 28, didn’t get the reaction she expected when she told Brzezinski that she spent a large chunk of the money she received for co-writing “Earn It!” on a family member's much-needed surgery. Brzezinski stressed that of course she supports helping families with surgeries and other basic needs, but also wondered if Pierre-Bravo would have been just as eager to tell her that she used half the money for a new wardrobe and invested the other half for her future. She wanted Pierre-Bravo to understand the importance of investing in herself. And she wanted Pierre-Bravo to feel just as comfortable talking about that. Young women may feel guilty when they come into money and tend to feel compelled to be the ones to take care of others, said Brzezinski, who recalled feeling that way herself early in her career. From Pierre-Bravo’s perspective, paying for the surgery wasn’t about guilt. As the child of immigrants from South America who worked three jobs each when Pierre-Bravo was growing up, “it was quite literally a no-brainer” for her to pay for the family member's surgery, she said. "It's a personal honor to be able to do this." Brzezinski was thrilled to learn that Pierre-Bravo put the remainder of the money she received for writing the book into a savings account. Their differing points of view, however, highlight just how complicated it is for young people to prioritize how they spend their money — while also investing in themselves. Those struggles, she said, include student debt, higher living costs, wage stagnation and in her case, helping support family. With so many obstacles young women face when it comes to their finances, how can they invest in themselves and maximize their money? “Investing” doesn’t mean strictly 401(k)s and stocks, Pierre-Bravo noted, particularly in the early days of your career. Her biggest early investments included $3,000 in New York City rent for an unpaid internship and $1,000 for a laptop to facilitate her writing. “Take a look at every purchase, even if it’s something you need, and think about how you can manage it to get the best return on that investment,” Pierre-Bravo said. That could mean, for example, investing in a professional wardrobe—or even one great outfit that makes you feel confident to nail the interview. If you can’t yet max out your 401(k) contributions or follow rule-of-thumb advice like saving 20 percent of every paycheck, that’s OK, Pierre-Bravo said. “As I’ve worked up through my career I’ve been able to invest small amounts in my 401(k), and I’m looking into diversifying my portfolio with assets like stocks,” she explained. “I wasn’t able to do that at first, but as I make more money I take a look at where I can add to these investments." Now Brzezinski is more careful about who she invests in, and she makes clear her requirements and expectations. “Money is business, and any relationship that involves money must be run like a business,” she said. Only you can fully understand your own personal life, career and financial goals, Pierre-Bravo said. Others may question your financial moves — and oft-cited money tips might not apply to your financial situation right now. But be honest with yourself about your goals and your ability to make smart decisions to achieve them. Revisit these goals frequently and increase investments in yourself as you make more money.